There is an interesting story about this month that shows the success of the Church of Scientology in pursuing its signature litigation abuse by hitting critics with lawsuits and injunction motions. 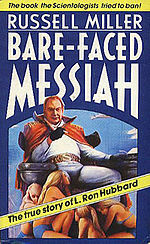 One of the chief targets of Scientology lawyers has been “Bare-Faced Messiah: The True Story of L. Ron Hubbard,” a British book that has been hounded by the Church in an alleged attempt to keep it out of the United States. If that was the motivation, it worked for 27 years. However, that book has now been published in print this month in the United States and joins “Going Clear” by Lawrence Wright as a “new” account of the life and controversies surrounding Hubbard’s life and creation of his own religion. The book details what it says were a series of bizarre lies by Hubbard that raises questions of his sanity and pathological tendencies. It explores how Hubbard claimed that he was one of America’s earliest nuclear physicists. He also claimed that he was a medical doctor. In reality, he went to my school, George Washington University, but dropped out. The book also discusses his claim that he spent his childhood breaking horses in Montana and traveling Asia in a quest to find truth among the mystics. None of this the book says was true. What is interesting about such books is that, despite its litigious reputation, the Church officials do not appear to have sued. While I have been a lifetime critic of the rule, you cannot defame the dead. Thus, Hubbard’s family cannot sue on his behalf for these books which accuse him of being the worst form of liar. However, this last allegation suggests that officials have played a role in rewriting history and then misrepresenting facts of Hubbard’s life. They would presumably have a claim if they are identified directly or by implication. The book joins a growing list of publications recently by high-level defectors who alleged a variety of abuses and potential crimes by Scientology officials. These publications are likely to fuel the existing pressure in Europe where the church is considered by many to be a criminal enterprise or cult rather than a religion. Of course, one of the tenets created by Hubbard was for followers to avoid reading any criticism of the Church and to shun anyone who questions the religion. That however does not appear the audience for these authors. Jeb Bush Declares Illegal Immigration “An Act Of Love” While Others Suggest Deported Individuals Be Brought Back To U.S.
I’m actually quite sympathetic to parents, who, for religious reasons don’t want their teens reading subjects and language that make them very uncomfortable. On the other hand, I’m outraged when those same parents tell me what is appropriate for MY teen to read and discuss in class. The district considered and discarded an “opt-out” option and just outright removed the book from its recommended reading list. The book remains in school libraries at district high schools. I’m told by locals that there is a waiting list at each school, now, to read the book. My snarky observation: clever way to get the kids interested in more reading! The post notes that “What is interesting about such books is that, despite its litigious reputation, the Church officials do not appear to have sued.” The publisher was sued back in 1988, however, for copyright infringement rather than defamation, and by a rival publisher, not the church. The litigation was reported at the time: New Era Publications International v. Holt, 685 F.Supp. 1493 (S.D.N.Y. 1988), affirmed in part, reversed in part, 873 F.2d 576 (2d Cir. 1989), rehearing en banc denied, 873 F.2d 576 (1989). To summarize briefly, both the District and Appeals Courts denied injunctive relief, relegating the copyright claimant to damages. The full details can be found on the web in the cases and in the legal commentary. The publication of the book continued. I fail to see how the Church of Scientology, or Hubbard’s heirs would have any valid cause of action against publication of this new edition. The doctrine of the bar against defamation of the deceased has no relevance in the year 2014. The book was published shortly after Hubbard died in 1986, nearly 27 years ago. Any legal action would be barred by all known statutes of limitation in the US, and any equitable action for an injunction would be barred by laches. The Hubbards would have no action today, even if the courts changed the common law rule. In my view, Hubbard himself would not have been foolish enough to bring a defamation case on his “war record” even if he had lived. A court case would have led to subpoenas for his authentic military records and to intense discovery, including depositions and affidavits under oath. A lot of his science fiction friends, like Isaac Asimov, Robert Heinlein, and Sprague deCamp, were still alive to testify to the real events. All three worked together at the Philadelphia Naval Yard in World War II and frequently socialized with Ron. They could have testified on the veracity of Hubbard’s claims. 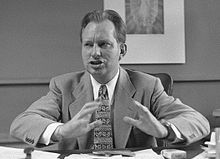 The Scientologists later claimed that some part of Hubbard’s military service was part of an off the books mission managed for Naval Intelligence by Robert Heinlein, a retired Navy officer, after the war. This claim, made only after Heinlein died, would have been exploded in court in the 1980s if Heinlein were ever to testify. Hubbard’s defamation claims would have been dismissed as frivolous. Selling puffed up military exploits to hapless prospects for so-called scientology therapy would be one thing. Lying under oath is another. I think a lot of Elron’s “war stories” might have changed or evaporated. Not so true. To repeat, neither the Church of Scientology nor Hubbard or his heirs sued. A rival publisher sued. Miller did not lose, since the courts denied injunctive relief. The book was shipped and sold. It has been on the web for years. This is a new edition. I wish the author extensive sales. In the First Amendment marketplace of ideas,the scientologists are free to counter his claims. Move along, folks, nothing to see here…. It seems that Scientology, like Islam, is a religion of totalitarianism. There is no toleration for any ideas, suggestions, or deviations from the principles of reincarnation, infallibility of the boss, or criticism from outside. As a law librarian for 25 years, I was always amazed at how many appellate cases came through brought by Scientology. They never seemed to give much value to the Fair Use Doctrine of the copyright statutes and always seemed to have deep enough pockets to outlast and litigant. Unlike Islam, they can’t kill you, but they can threaten blackmail and totally shun you worse than a Bob Jones Guyana Camp Meeting. Perhaps now, the vultures are circling waiting just for the last fall and the burial by the sandstorms of reason and prudence and common sense. Ten Billion Year contracts with children are contrary to public policy anywhere in the globe! Lettermans top 10 books least likely to make the N Y Times bestseller list. Dredd, I retrieved it for you. One of the best ways to keep information from most people is to price it out of everyone’s reach. The price of this book is outrageous more than $200 on amazon. Maybe Miller is trying to raise money for his legal fees. A comment was censored by L. Ron Hubbard WordMess. The profit is real even if the prophet is not. travelling limey is really Tom Cruise. Limey, I’m sure Ted Kaczynski had some lucid moments too. How many here know that Earthlink was started by a Scientologist. I used to know a woman who made between 11 and 13 million dollars from her investment in it. Her husband was a lawyer who did work for either Sci. or E;L., or both. Check out the facts about E.L. and the fraud that it was alleged to have engaged in —- at least on the part of the founder. Sorry Limey. They call it a religion. They act like a really nasty religion. Form their own mouths, they are convicted. Its a “religion”. They like it that way all sorts of perks. Pretty soon even more. Paulette, that is a great quote. Thanks for sharing it. Of course, Lord Xenu will exact his revenge upon you for it, but still, thanks! Ron basically brought the successful things we do to our attention. My favorite was the KRC triangle. You lift one corner and the others raise equally. K=Knowledge R=Responsibility C=Control – Try it. I always thought that this was on a scale of freedom. But remember this can also be used to reduce your freedom. Is there anyone or group out there trying to reduce your knowledge? It is a bit of a bother to me that most have not read his work and take all of this on opinions of opinions. And “traveling limey” – how many have you cajoled to “buy” books/programs and tapes on the (er) religion of Scientology? all about money and gain.